There are really some people who are born to be entrepreneurs. Their zest for successes working independently is the quality that differentiates them from others. But for many would-be entrepreneurs, the crucial choice lies in with which business he should start with? 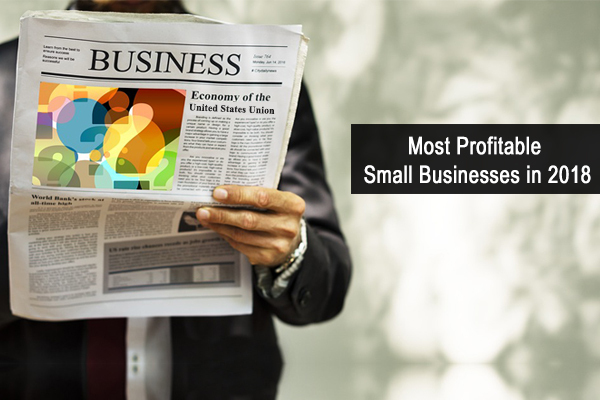 So in this article, we will be discussing the newest options for most profitable businesses that are trending in 2018. Doorstep Auto Repair and Car wash service. Food Trucks that are mobile. Electronics Repair at customer’s place. Child Care Services – According to the reports published by PEW, the millennial generation will outnumber the existing generations by 2018. So for the want to be entrepreneurs, business options that provide kid’s services can provide the best business opportunities. Starting Child day care crèches, pre and postnatal care services, child enrichment activities and such other things can be a scoring small business idea that is waiting to be capitalized on. Business from the shared economy – With Uber and Airbnb in trend, there are huge business options for those who are planning to enter the world of entrepreneurship. You can start a sharing service of fashion accessions, a rental service for home improvement goods and if you got some extra bedroom you can go for sharing business. Online Teaching Services – If you are a subject matter expert in some subject then you can utilize your knowledge in teaching people who are interested in knowing the subject. All that you will need will be a platform, some content and a target audience. Not much investment required. There are many sectors where your service will prove valuable, core academics, business and marketing and language classes. Let’s say you have expertise as a personal therapist, or you are a long time yoga enthusiast, you can start a lifestyle channel all by yourself and earn money. Gourmet Food Joints – Another business that is very much in fashion is going for a business that offers gourmet food joints. Most of such impressive joints that offers scrumptious dishes or refreshing espressos and cappuccinos are hugely popular amongst the youngsters. You can think a step further and set up the office in a place that is convenient for cycling and foot traffic or arrange your place with a very informal setting with outdoor patio. Believe me, the aroma of freshly brewed coffee with some fresh bakes are bound to make your small business an instant success. Reap the advantages of the business trends that are prevalent in the present economic scenario. Together with financial assistance from BusinessAdvanceFunding, the ideas of most profitable business will work wonder for you in the entrepreneurial world. This entry was posted in Profitable Small Business and tagged most profitable businesses, Profitable Small Business, small business loans on May 23, 2018 by admin.